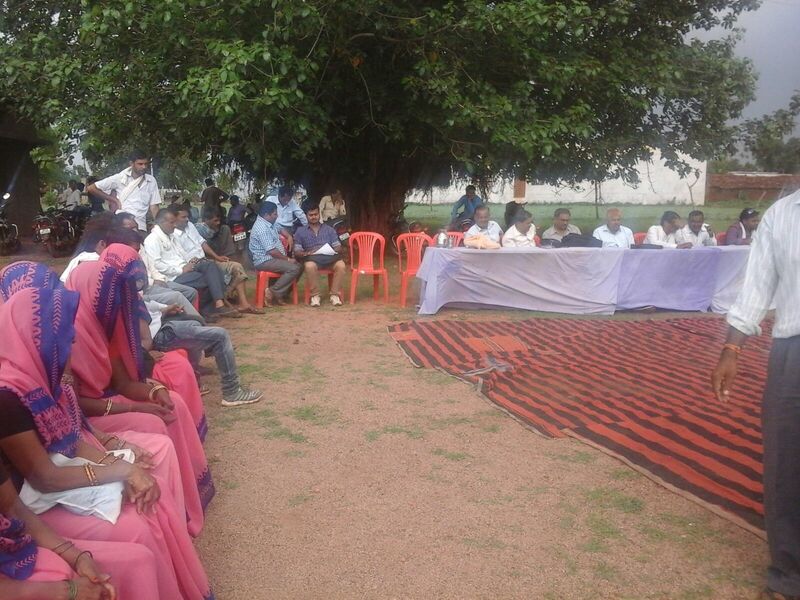 On July 16, 2015, a Gram Chopal was organised in the Jhajhon Panchayat of Aron Block, where all the district officials were present_ Mr.Goyal (District C. E. O), Mr. V.N Sharma (Agriculture Officer), Mr. Dangi (B.I.O), Mr. Sani (Horticulture Officer) and Panchayat Secretary. The main focus of the whole event was to list out the BPL beneficiaries and pension beneficiaries in order to submit their applications in the concerned departments. In addition to this a lot of information dissemination took place about various government schemes and newly state sponsored schemes. Mukhya Mantri Yuva Udhmi Yojana, Higher Education Loan Scheme, Shochalaya Nirman, Rajeev Gandhi Kishori Sashaktikaran Yojana (announced by department of women and child development), Micro & small scale enterprises development and agriculture development were in the top list and solutions for the welfare of agriculture dependents community was also been taken into consideration.